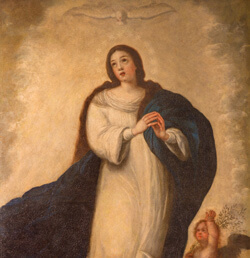 By Father Rodney Olive, C.Ss.R. 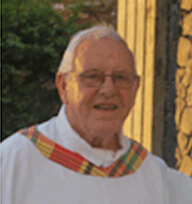 Father Charles Vermeulen, C.Ss.R., died in Dominica on December 4, at age 85. Although he was born in Belgium, he had served in the island nation for nearly 60 years. The Lord blesses us with gifts to help us to grow and proclaim the Good News of Jesus Christ. He does this by providing us with priests and religious who live among us and proclaim the Gospel of Jesus and lead us in our worship and praise to God. God continues to provide for the spiritual life and well-being of his people here in Dominica. Charles Vermeulen was born on 14 January 1931 in Ouwegem, Belgium, the 16th child of his parents. He attended Ouwegem Primary School and attended secondary school at the Redemptorist Juvenate in Essen, Belgium. He entered the Redemptorist novitiate at St. Truiden, Belgium, on August 15, 1951, and was professed on September 15, 1952. Father Vermeulen studied philosophy in Beauplateau, Belgium, from 1952-1954 and did his theological studies in Louvain, Belgium, from 1954-1958. He was ordained to the priesthood on September 15, 1957. The Redemptorist Missionaries came to Dominica in 1903 to help fulfill Christ’s mission to spread the Good News. In 1959 Father Vermeulen, then a young Redemptorist missionary, was told by his provincial superior in Belgium that he was being sent to the island of Dominica to join other Redemptorist missionaries. Father Vermeulen celebrated Mass with his family in their parish church and then made a one-day trip to the port to catch the boat to the nature island. In those days traveling was not so simple. Father Vermeulen had to travel to South Hampton, England, and then undertake an 11-day trip to Dominica. He arrived at midnight and was greeted by small boats that took him to the city of Roseau. Father Lamote and Father Bergman were there to welcome him to a whole new world and way of life. His missionary life would take him to the islands of St. Kitts, Anguilla, and Antigua. But he would spend almost 60 years in Dominica. He embraced its people with a love that comes from the heart, and they became his people. The struggle, the hopes and the challenges of the people became his. Every corner of our country has been touched by his love and care. Father Vermeulen preached the Gospel, worked to help build many of the churches in which we worship, and taught in our schools. When Dominica was ravaged by a devastating hurricane, he stepped up and played a key role in the reconstruction of the country. We are often reminded that actions speak the truth that is deep within our hearts. Father Vermeulen has for decades spoken the language of love through his actions. With honor and dignity, he fulfilled his mission and commitment to the people and the Church. The Redemptorist missionaries who followed him, the people, and the Church have been blessed. God gave us a priceless gift in Father Charles. We praise God for this priceless gift, as Father Charles embraces a final missionary journey, to be with God in heaven. Charles, your life is part of a living story, God grant you a missionary’s blessing. God grant you the joy and peace that come with a life of commitment and love.